2) To be framed accordingly. 3) What I need as headline - Mindshare Purple Heart, July/August 2009. 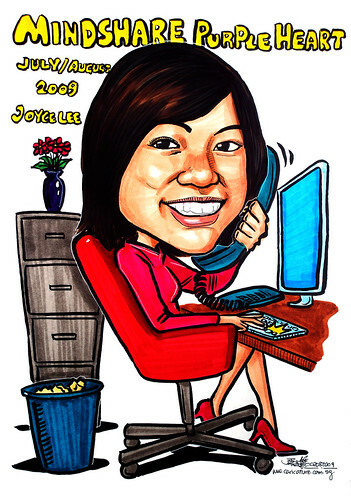 Joyce Lee. It is meant for Staff of The Month. One for the company to keep. The other one for this staff to keep. Technically, I can print out another copy for the second one. 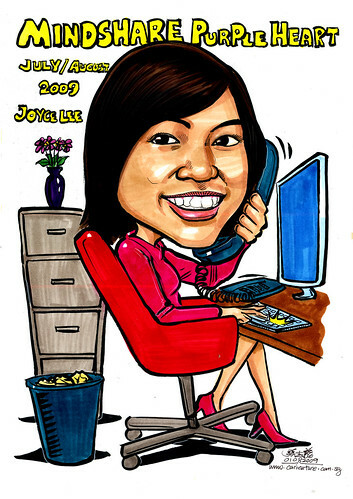 However, the client paid for the second drawing at full price. Thus, I must do my job. 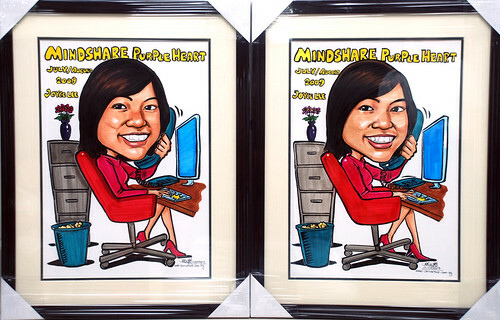 The 'twin' caricatures framed up, snapped side by side.